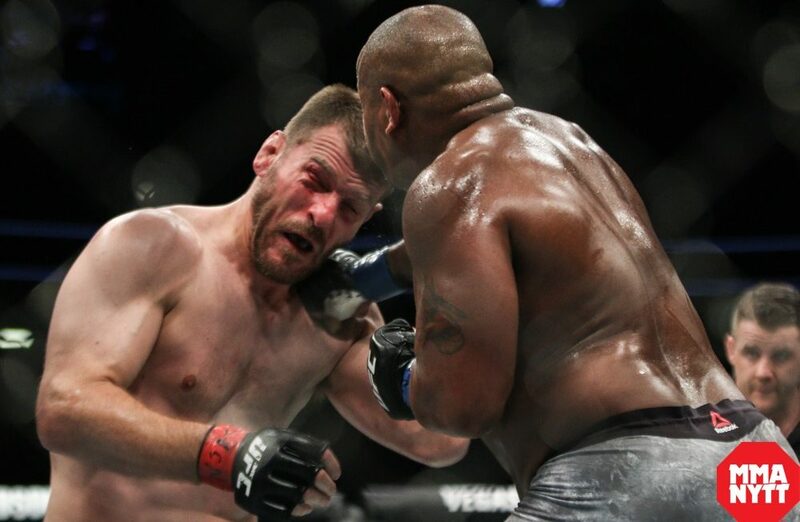 Stipe Miocic sent a message out to new heavyweight champion Daniel Cormier congratulating him on his victory with hopes of seeing him again in a rematch. Stipe Miocic wants to get in line for a rematch with Daniel Cormier before he retires in March 2019. After a day to reflect on his title fight loss at UFC 226 over the weekend, Miocic released a statement on Monday congratulating Cormier on the win while also dropping in his request to get a rematch for the title. Cormier stunned Miocic with a first round knockout on Saturday night to become only the second fighter in UFC history to hold two titles simultaneously (the other being Conor McGregor) as he is now the light heavyweight and heavyweight champion. Prior that loss, Miocic had been the longest reigning heavyweight champion in UFC history with three straight defenses and he hopes to get a second shot at Cormier at some point in the future. “Congrats to DC. Didn’t get the chance to say it in the cage, but lets dance again and get a rematch before you call it a career,” Miocic wrote on Monday. Miocic had planned on taking a hiatus from fighting for at least a few months after his fight with Cormier in anticipation of his wife giving birth to their first child later this summer. Once his daughter arrives, Miocic seems ready to get back into camp to prepare for his return to action with hopes of avenging his loss to Cormier with the heavyweight title on the line. Cormier is likely awaiting a showdown with former UFC heavyweight champion and current WWE superstar Brock Lesnar, who officially made his return to the Octagon on Saturday night. Cormier has been adamant when stating that he will retire by March 2019 when he turns 40 years of age, which likely only leaves room for one or two more fights at most.